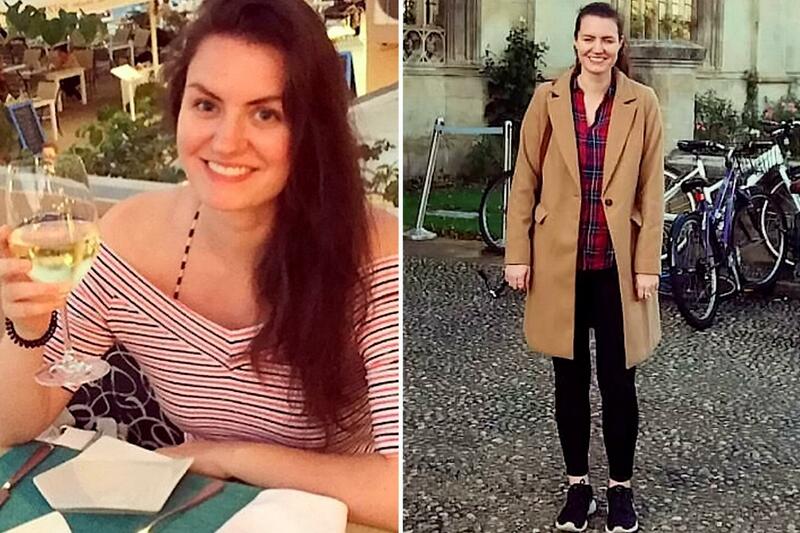 Grace Marwick, 24, from Ipswich, Suffolk, had only been taking the Gedarel 30/150 pill for a few months when she suffered a severe reaction which left her in hospital for a week. The insurance claims handler – who was a law student at Exeter University at the time – had to take blood-thinning medication for a whole year afterwards. Grace had started to feel breathless in August 2015, three months after she started taking the tablets, but put it down to being unfit. It was only when she collapsed that she sought medical attention and was rushed to hospital. Medics told her had she not been seen by a doctor when she did, she could have suffered a stroke or even died. Grace was admitted to A&E where medics spotted the blood clot and rushed to save her life. She recalled: "My contraceptive pill almost killed me after I reacted badly to it and developed a blood clot in my lung. "I'm lucky to be here today and I'm so grateful doctors spotted it when they did." Her initial symptoms left Grace really short of breath. "I would run up the stairs and have to sit down, I would be huffing and puffing,” she explained. "Because I'd just been on holiday and had been eating loads of rubbish, I just thought I had got a bit unfit and that I needed to get back to the gym. "I put it down to that and didn't worry too much." But over the next few weeks Grace started noticing herself getting worse. She said: "I was struggling with day to day tasks and felt like I needed to take everything a bit slower. "I had to pause to catch my breath when walking around the supermarket doing my weekly shop." Grace had gone to the GP surgery at her university campus in May 2015 and was put on the pill as a form of contraception. "It was the first time I'd been prescribed the pill,” she said. "But it didn't cross my mind that I might have an adverse reaction to it. So many women take it and are absolutely fine, I was just one of the unlucky ones." In August 2015, Grace collapsed after going to the train station to pick up a ticket for her journey to London where she was starting her new job. She said: "My boyfriend Ben drove me to the station and he stayed in the car while I popped out to buy my ticket. "I wanted to avoid any stress on Monday morning. I went to rush into the station, but as I ran across the road to the entrance I collapsed on the concrete. "I woke up on the floor with a whole host of strangers around me. Ben didn't realise what was going on as he couldn't see me from where he was parked. "When I came around, someone tried to call an ambulance. I sat up and insisted that I'd be fine; I thought I'd just taken a funny turn as I hadn't eaten any breakfast that morning and put it down to feeling a bit weak. "I asked someone to go and grab Ben and he came over. He helped me to my feet, but I couldn't walk without collapsing onto him. What is the contraceptive pill? The combined oral contraceptive pill – known as 'the pill' – prevents pregnancy and is around 99 per cent reliable – if taken correctly at the same time every day. It contains artificial hormones that mimic naturally occurring oestrogen and progesterone in women. The pill aims to prevent pregnancy by keeping eggs and sperm apart, or stopping the release of an egg during ovulation. Pregnancy can be avoided as the pill can cause the ovaries to stop releasing eggs. It also thickens the mucus in the womb to make it difficult for sperm to reach eggs if they are released. The lining of the womb is also thinned, so if an egg is fertilised, it will find it difficult to attach to the wall of the womb and therefore cannot grow into a fetus. This means you take the pill for 21 days, followed by a 7 day gap of none, where you will likely have a bleed. These contain sections of different coloured pills in a pack. Each section contains a different amount of hormones – so they must be taken in order. Once the 21 pills are gone, you have a 7 day gap. These packs contain 21 active pills that contain hormones and seven dummy pills that are inactive. The pills must be taken in order and you take 28 without a gap between packets. "He drove home with me in the car. I wasn't sure what to do, I had hit my head on the concrete and that's why I thought I didn't feel good. "When I got home I couldn't walk up the stairs. Ben called the out of hours doctors and they said to get me straight to A&E. "I was put in a wheelchair and started struggling to breathe." Medics at Ipswich Hospital rushed Grace in and performed tests. "They told me it could be a blood clot on my lungs,” she said. "After a few hours of waiting for results, they confirmed I'd suffered a pulmonary embolism. "They asked for my medical history and any details of pre-existing medical conditions but I had no background in my family of anything like it. I was perfectly healthy. "When I told them I was on the pill – and had been for a short while – they put it down to that." Grace had to stay in hospital for a week while she recovered from the episode. "My heart rate was crazy, it wouldn't slow down,” she said. “I was hooked up to a heart monitor and they started me on Warfarin – a blood thinning medication I needed to stay on for a year. "I had bad concussion too which they gave me paracetamol for. The doctor told me it had all been caused by the pill and took me off it straight away. Thankfully I haven't had any problems since. "Because the clot was on my lung, if I had waited any longer anything could have happened. I may have had a stroke or even died. "I'm now taking a different pill which seems to be fine. I just want to warn other women and encourage them to be careful and to go straight to the doctors if they have any unusual symptoms at all." Last week we told how thousands of women are calling for the contraceptive pill Rigevidon to be banned due to its severe side effects – including fatal blood clots. It follows the death of 20-year-old Fallan Kurek, a teaching assistant, who died from a pulmonary embolism after taking the pill. In 2016 a young nanny claimed the Rigevidon pill made her suffer an early onset stroke after the medication allegedly caused a blood clot on her brain.